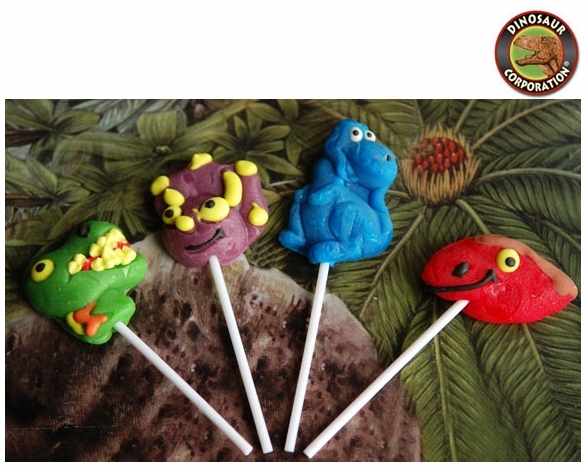 Dinosaur Lollipops. The best Dinosaur Frosted sweet suckers T-rex, Pteranodon, Brachiosaurus and Triceratops. Designed for kids loving everything prehistoric.